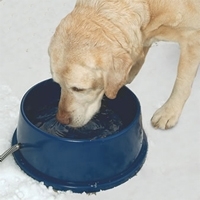 Many dogs eat too rapidly, which can cause bloat, discomfort and other digestive issues. 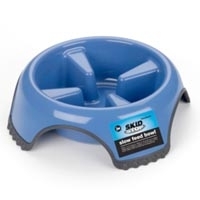 Our idea is the Skid Stop Slow Feed Dog Bowl. Its unique design with large interior indentations work to slow eating, while a thermoplastic rubber base keeps the bowl from moving around. 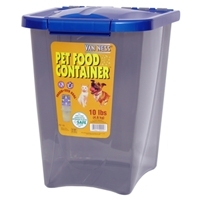 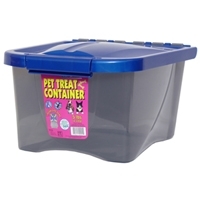 Van Ness Pet Food Container 50 lb. 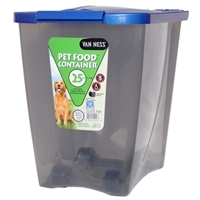 Van Ness Pet Food Dispenser 4 lb. 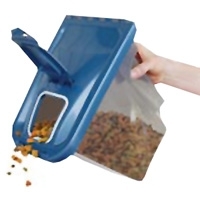 New to the pet food storage line the uniquely designed Pet Food Dispenser features an ergonomically designed handle grip and flip top spout for east one handed dispensing of pet food. 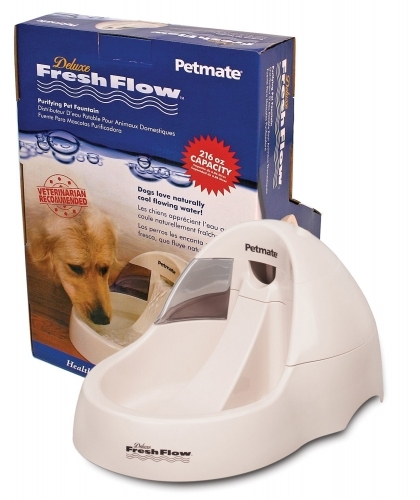 The Pet Food Dispenser is positioned to meet the food storage needs for owners of both cats and small dogs. 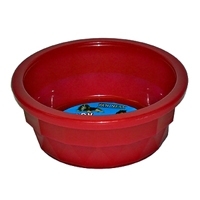 Both the lid and flip top feature a Fresh Tite Seal. 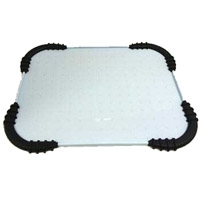 Dinner mat is non-skid, keeps floors clean, and fits two large Van Ness crock style dishes. 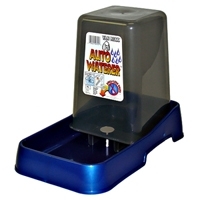 Van Ness Auto Feeder Medium 6 lb. 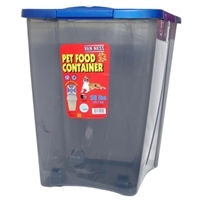 Auto feeder has a hinged top attached to the container, clear smoke finish on container for easy viewing of food on hand, and handles for easy pickup of dish. 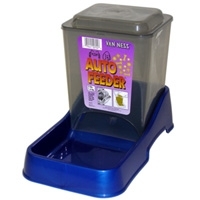 Van Ness Auto Feeder Small 3 lb. 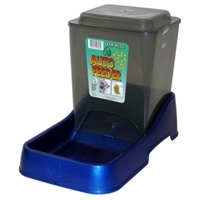 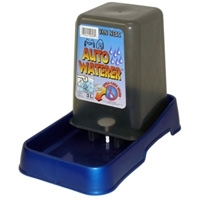 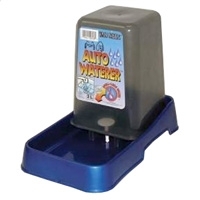 Van Ness Auto Feeder Extra Small 1.5 lb. Ideal food scoop for dry cat kibble. 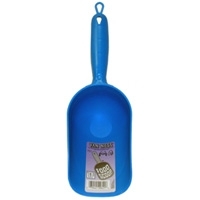 Made from high impact plastic for extra durability. 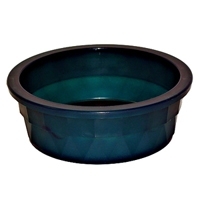 High polished finish that is odor & stain resistant & easy to clean. 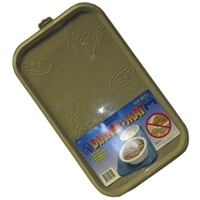 Easy to use graduated measurements.